Published on January 26, 2012 in General T&T, Hindu, India, People's Partnership, Politics and Race and Identity. 18 Comments Tags: Kamla Persad-Bissessar, Politics, Selwyn R. Cudjoe, State Visit to India, T&T Govt. Question: If Trinidad and Tobago were one hundred percent Hindus, would our response to Prime Minister Kamla Persad-Bissessar kissing President Pratibha Patil’s toes elicit a different response? I suspect it would. But only thirty five percent of Trinidad and Tobago’s population are Hindus and therein lays the conundrum. Such a move calls for a better understanding among the population and a more sensitive response from the PM in terms of her act of piety or respect as she calls it. Published on January 25, 2012 in Business, General T&T, India, Media, People's Partnership and Politics. 4 Comments Tags: George Alleyne, Kamla Persad-Bissessar, Politics, State Visit to India, T&T Govt. Government should state clearly the nature and extent of the planned Indian investment in Trinidad and Tobago, which it is trumpeting, and whether this relates to the setting up of entirely new businesses or whether it will be the acquisition, wholly or largely, of State-owned and other existing companies. Published on January 25, 2012 in General T&T, Health, Media, Opposition Party, People's Partnership, PNM and Politics. 8 Comments Tags: Kamla Persad-Bissessar, Keith Rowley, Patrick Manning, Politics, T&T Govt. 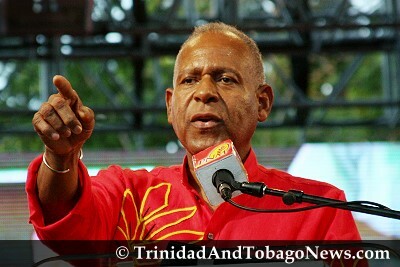 POLITICIANS, both friends and rivals, yesterday expressed their shock at the stroke suffered by former Prime Minister Patrick Manning and offered their prayers for his speedy recovery. 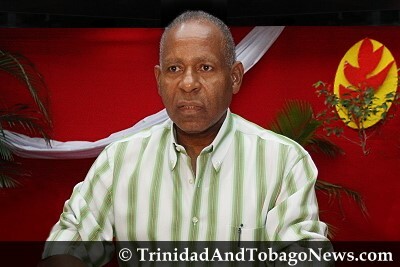 Prime Minister Kamla Persad-Bissessar has advised Health Minister Dr Fuad Khan to ensure former prime minister Patrick Manning is well taken care of during his stay at the San Fernando General Hospital. Published on January 23, 2012 in Finance, Food, General T&T, Media, People's Partnership and Politics. 1 Comment Tags: Abuse, Minister of Food Production, Politics, T&T Govt, Vasant Bharath. There are bound to be questions and indeed raised eyebrows at the purchase of a luxury Porsche Cayenne SUV – with a showroom price tag of $925,000 – for the official use of Minister of Food Production, Vasant Bharath. Bharath defended the purchase by saying the actual price paid – after exemptions for taxes and duties – was about $400,000, which he said was comparable to the cost of other SUVs. Published on January 22, 2012 in General T&T, Hindu, India, People's Partnership, Politics and Race and Identity. 20 Comments Tags: Kamla Persad-Bissessar, Politics, State Visit to India, Stephen Kangal, T&T Govt. It is patently clear that the staging of the tenth annual Pravasi Bharatiya Divas (PBD) pilgrimage to India by the Indian Ministry of Overseas Indians Affairs is geared and exclusively configured to exploiting and attracting for the benefit of the Indian economy the enormous wealth, political influence and entrepreneurship to be found within the 30 million Indian diaspora. Remittances alone to India amount to over US$50bn annually that is seven times T&T’s budget.